From aerial lifts and tractors to lawn care equipment and air compressors, Rent This carries a wide variety of new and well-maintained rental equipment in our extensive fleet. 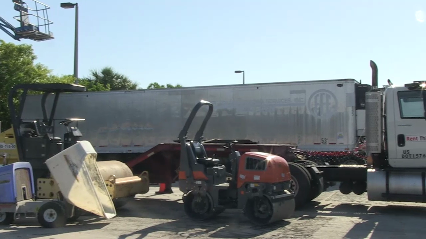 Family-owned and -operated since 2001, Rent This is an equipment rental company in West Palm Beach serving both homeowners and contractors. As a local business, we know our area and the equipment needs of both local businesses and do-it-yourself homeowners. Our large inventory includes a range of equipment for land clearing, excavation, compacting, construction, landscaping, plumbing, painting, and electrical work. If Rent This doesn't have it, we will help you find it! Rent This equipment, from scaffolding to trenchers is expertly maintained by an in-house maintenance staff so that our equipment gets the work done well and safely. We also offer a full line of supplies and accessories for the equipment we carry as well as offering delivery. In order to provide our customers with the latest technology has to offer, we're constantly rotating new equipment into our inventory. Rent This sells our very well-maintained used equipment as well as new equipment. Need a repair on your small engine? Our on-site mechanic is available to repair the equipment you own. Rent This is proud to be an authorized dealer of Stihl, Bobcat, Wacker Neuson, JLG, Kubota, and Honda equipment. There's no need to rent one piece of equipment from one place and something else from another when you can get everything you need by calling Rent This at (561) 507-1591. Copyright © 2018 rentthiswpb.com All rights reserved.